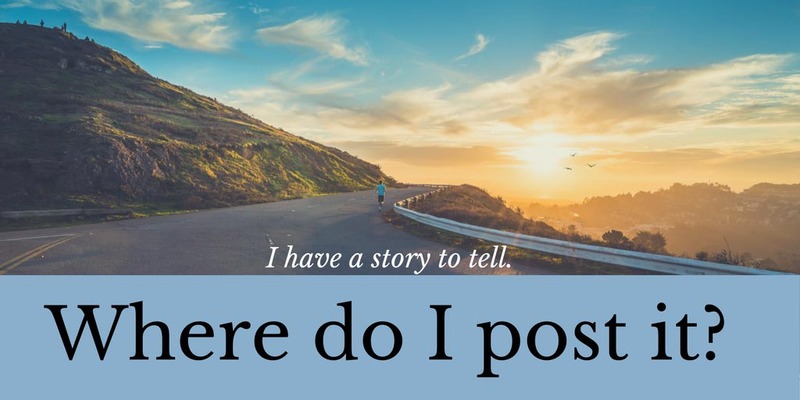 Whether you’re an experienced storyteller or you’re picking up a microphone for the first time, you may still have the same question, “Where do I post my story after I’ve created it?” In conjunction with our Be Here projects about place-based storytelling, we’ve reviewed a number of free platforms where storytellers can post their content. If you’re unfamiliar with the project, its aim is to democratize cultural content, giving everyone an opportunity to document a place, event, or experience that has significance–historically or even emotionally. We’re helping people record and share stories about American places and traditions that are rooted in experience and accrued knowledge, not just facts and dates. Ease of use–Is it techy? Does it require advanced knowledge? Shareability–Can you share directly to social media? User base–Are enough people using this tool that your content will be seen? Searchability–Can you find your content once you’ve post it? Story type–Are there a variety of stories/content posted? Geolocation abilities–Can you pin your story to a location? Accessibility–Are there options for captioning, adding transcripts, etc? Longevity–Will the platform be around the next couple of years? Read through the WHY of our ratings. All of these platforms have utility and may be perfect for individual or organizational storytellers, depending on short-term and long-term goals. The highest rating is 5 stars. Access to stats for free! Allows for stories about everything! Why pick this option? You want to upload a limited amount of free content and get the maximum amount of exposure for it. Ease of use is paramount to you. You’re interested in quickly retrieving and showing off your content. Why pick this option? You want to upload an unlimited amount of free video content, are interested in access to detailed analytics, and want maximum exposure. Ease of use is paramount to you. You have a vested interested in the accessibility of your stories. Fairly small usage compared to other platforms, but platform is growing with content available in many cities across the U.S. Note: The Smithsonian partners with MuseWeb on this project. Their website (still growing and improving) offers some beneficial features that others do not at this time–mainly its ties to Smithsonian’s collections and the inclusion of all forms of storytelling. Why pick this option? You want to visually show content on a map. You already have content on YouTube and want to easily connect the two. You want to upload an unlimited amount of free content. You are already tied into everything Google. While everyone uses Google Maps, YOUR pins and YOUR map content doesn’t come up in the general search. The idea here is that you’d create a map to locate your story and then share the link to your map. Stories can be about anything! Why pick this option? You’re already familiar with Wikimedia in all its forms. You believe in free and open content, and you’d like your content to be reused or used in study. You’re interested in posting content for the long haul. Because of its focus on the visual, is not as accessible a platform. Have a platform you think would meet the needs of #bHereMainSt storytellers? Let us know @museweb on Twitter.